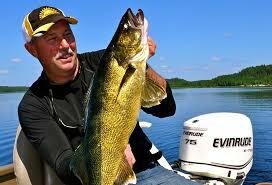 Northwest Ontario’s Sunset Country has some of the best Canada walleye fishing. This tasty fish defines the Canadian shorelunch experience in addition to giving the angler a good fight. Northwest Ontario’s Sunset Country is known throughout North America as Canada’s premier fishing destination for good reason! There are thousands of pristine crystal-clear lakes and rivers supporting fish populations in great numbers and size. It is a simple fact that there are more lakes and rivers than people in Ontario’s Sunset Country! It a destination sure to catch the fancy of every avid fishing enthusiast. This is a place where you have an excellent chance at catching a trophy walleye. Trophy Ontario walleye fishingTo enhance your fishing experience, we offer a vast selection of walleye fishing accommodations – American Plan lodges, cabin rentals and fly-in outposts. We well over 300 members who can provide you with the service and selection that suits your tastes and budget! Many of our lakes are road accessible, meaning you have an endless number of lakes and rivers to explore during your vacation. If you’d like remote seclusion for your Canada walleye fishing trips, try a fly-in resort or outpost camp. To accommodate those anglers who love to camp, we have over 80 members with excellent campground and RV park facilities. For a refreshing change, try a weeklong houseboating getaway or angling adventure and immerse yourself in a unique outdoor experience. 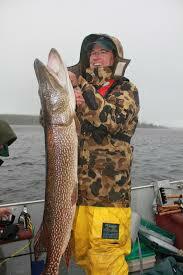 The following is a list of outfitters that offer trophy Ontario walleye fishing. Visit their websites for pricing, rates and more information on Canada walleye fishing.